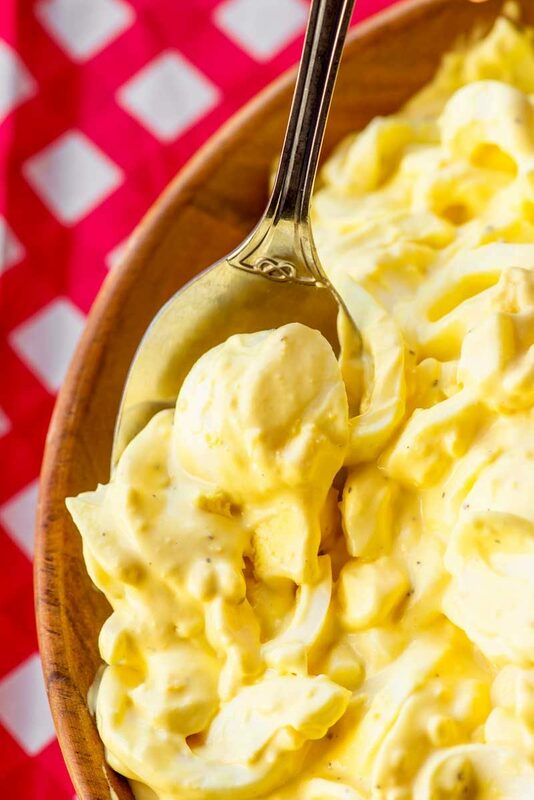 A classically simply recipe for homemade egg salad that can either be enjoyed on its own or used as a base for your own additions and flavors. Perfect as a sandwich or side dish! Few side dishes have as much versatility as homemade egg salad. For one, it can become it’s own dish, either by layering it on a sandwich or just enjoying it a large bowl (I do this, no judging). And for two, you can pair egg salad with just about anything. It’s a great option for when you want to bring food to a gathering but have no idea what else will be on the menu. 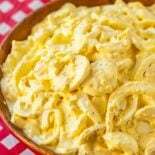 Because odds are, even if someone else brings some egg salad, the recipes will be so different that it will be like two different side dishes. 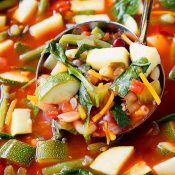 Which also brings me to three: there are so many different flavors and additions you can add to this dish, and they’re all bound to create something that tastes amazing. This is is the best (and easiest!) 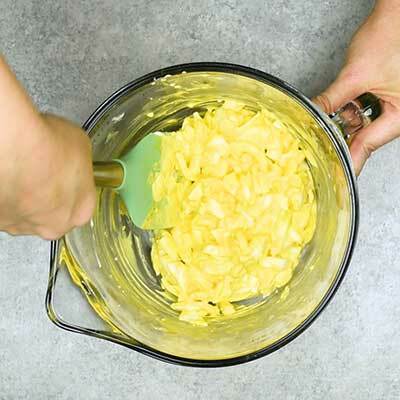 recipe for egg salad that I’ve come across. It’s perfect for enjoying, customizing, and has very minimal prep work. What else can you add to egg salad? 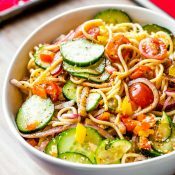 This recipe is designed to be a base recipe that’s great to enjoy on its own or you can customize it with flavors of your choice. 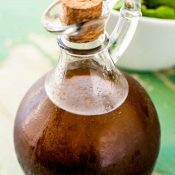 Replace the mustard in the recipe with Dijon mustard or whole grain mustard. Fresh thyme, 1/2 tablespoon (or about 1/2 teaspoon for dried). Fresh chives, 1/2 tablespoon (or about 1/2 teaspoon for dried). 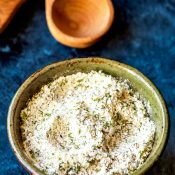 Fresh oregano, 1/2 tablespoon (or about 1/2 teaspoon for dried). Fresh sage, 1/2 tablespoon (or about 1/2 teaspoon for dried). Cooked and crumbled bacon, about one or two tablespoons. Red onion, about one or two tablespoons. Jalapenos (or even candied jalapenos) about one or two tablespoons. The list could go on and on. If you have any additions you use, I’d love to hear about them in the comments! Egg salad has a “typical” perishable food timeline of staying fresh for three to five days when refrigerated in an air-tight container. Due to the egg and mayonnaise in this recipe, I do not recommend freezing this dish. 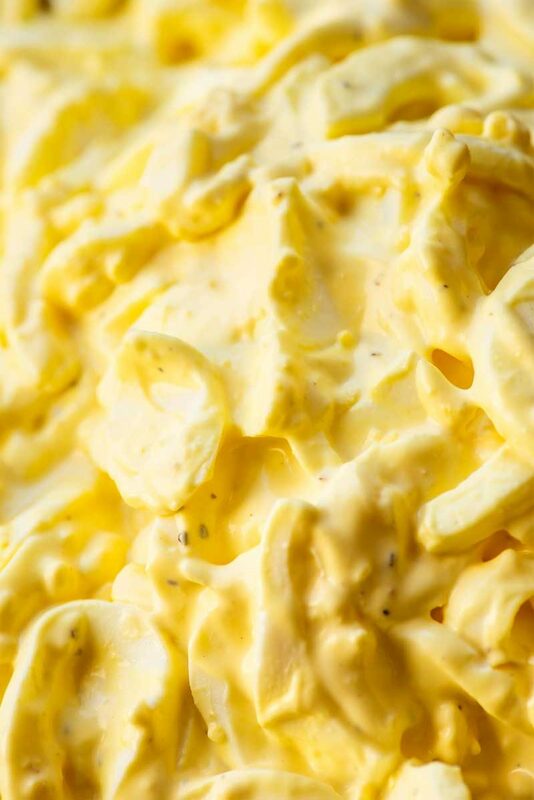 Freezing will make the consistency will turn watery and rubbery, which ruins creaminess we all love about egg salad. How long can you leave out egg salad? 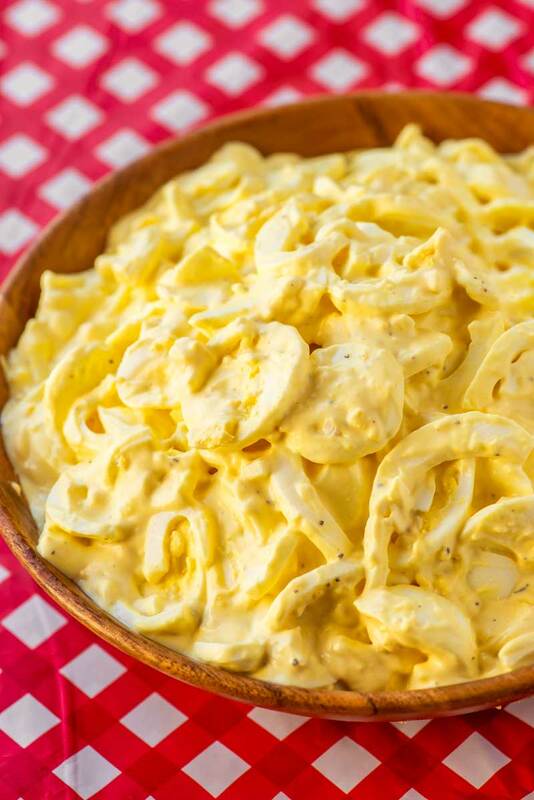 If you’re bringing egg salad to a potluck or event, there’s bound to be a point where your salad will sit on the table while everyone grabs their portion. For most foods, the general rule of thumb is that a perishable item should not be in the “danger zone” for more than two hours. And by “danger zone”, this is usually at or just above room temperature. I recommend preparing this salad with chilled ingredients or serving it chilled, as this should give you more time (about one hour) before the dip reaches room temperature. So, in total, this dip can be left out for “about” three hours, depending on the start temperature and the temperature of the room. 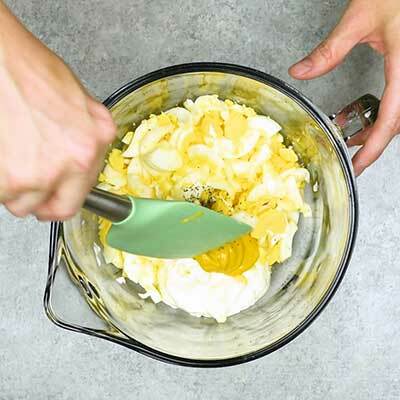 However, be sure to still check the dish every now and then – eggs and mayonnaise can be tricky like that. Once you pass the recommended time, you can cover the salad and place it back in the refrigerator. If your guests still want more, let it chill for at least 30 minutes before bringing it back out again. If you’re boiling your own eggs, I highly recommend checking out this guide to get perfectly boiled eggs every time: The Key to Hard Boiled Eggs. Or if you’re in a rush, this recipe can also be made with storebought hard-boiled eggs. Step 1 – In a large bowl, start by adding the hard-boiled eggs. There are a couple ways you can do this: mash them in the bowl, chop them up, or slice them. I prefer slicing the eggs because I like the texture. 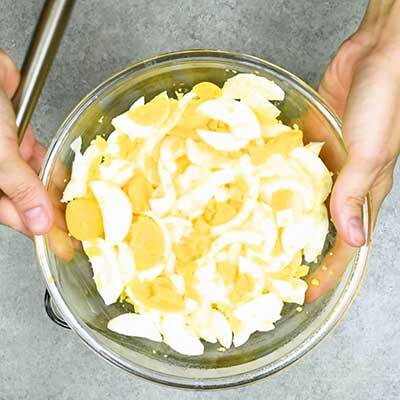 Plus, this method reminds me of the gourmet egg salad you can get at AJ’s. 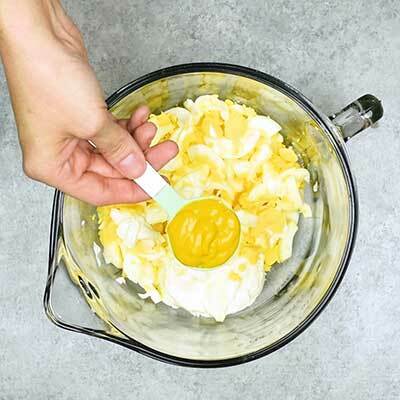 After you’ve added your eggs, toss in the mayonnaise, mustard, lemon juice, and then season with salt and pepper to taste. 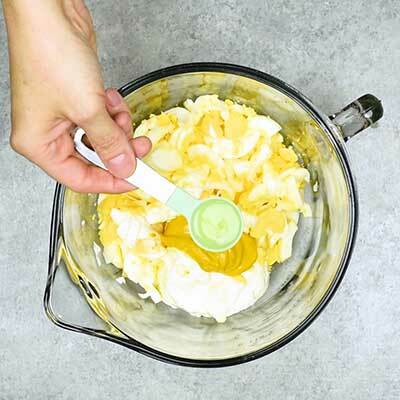 Step 2 – Use a spatula to give all the ingredients a gentle (but thorough!) mix. Step 3 – Cover the bowl and let chill, usually about one or two hours. 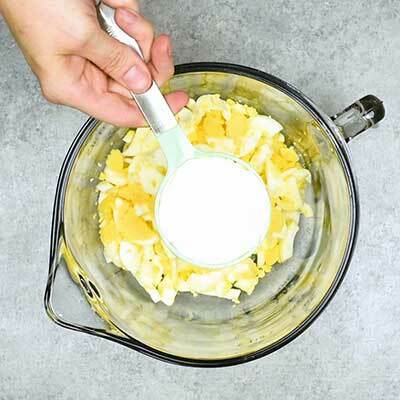 In a large bowl, add cut hard-boiled eggs, mayonnaise, mustard, lemon juice, and salt and pepper to taste. Use a spatula to gently stir everything together. Cover and chill egg salad for at least 1 hour (optional) then serve. Your recipes look very nice and simple to make. Such a classic! Perfect for sandwiches!